Blair Hinkle attained his $4 million in live tournament earnings through a menu of first-place finishes. When Hinkle makes it deep, he usually finishes the job. That wasn’t the case early in Hinkle’s career. In only his second career live tournament, a 22-year-old Hinkle was one of the chip leaders with two tables left in the 2008 L.A. Poker Classic. 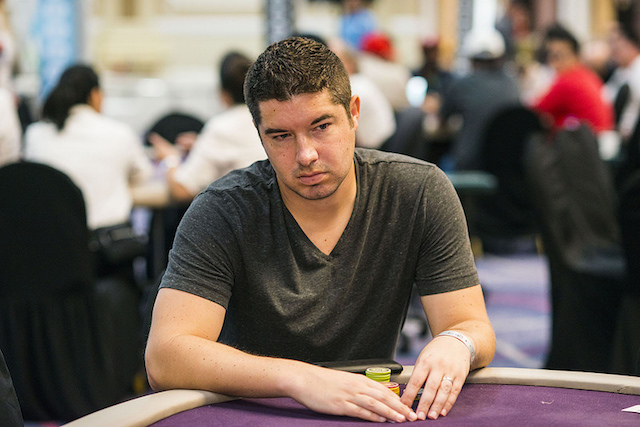 Seated between Phil Hellmuth and Phil Ivey, Hinkle fell trap to the “Ivey Factor” and punted to the legend himself. An admitted “live fish” at this stage, Hinkle misplayed a hand against Ivey that led to Ivey winning his first career WPT title. The hand opened with Hellmuth raising the hijack and Hinkle calling the cutoff with . Ivey three-bet the button and Hellmuth did his Hellmuth bit before folding, according to Hinkle. Hinkle wasn’t adept at figuring out how many chips a player had behind and wound up four-betting for 60% of Ivey’s stack. A trap laid by Hinkle the night before played into his decision to come back over the top but he misinterpreted Ivey’s knowledge of his game. Effectively forced to call because of the math of the spot, Hinkle did and Ivey showed him pocket kings. Hinkle flopped a flush draw, turned an open-ended straight draw, but bricked the river and sent most of his stack to Ivey. Devastated by the hand, Hinkle busted in 11th place when a spot at the final table could have been his. Hinkle used the loss to learn two things about live poker that paid dividends right away and long-term. As Hinkle’s career has advanced, he started to realize when other players wanted to battle with him. That extra sense led Hinkle to pick up added value in places such as Council Bluffs, where he owns four WSOP Circuit rings. Hinkle learned plenty from his encounter with Ivey and earned a piece of respect from the Hall of Famer. A few weeks later, Ivey offered Hinkle a backing deal. The terms of the deal never materialized but Hinkle gained confidence from Ivey being impressed by his play.